George Thomas joins Yeovil on loan. 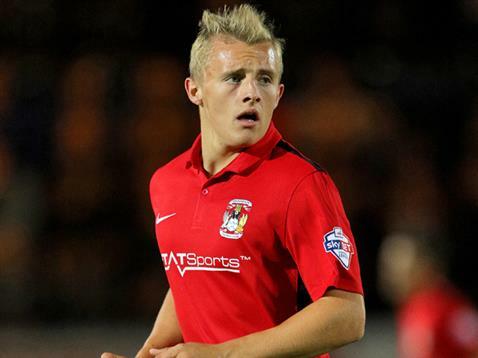 Young Coventry City forward George Thomas has joined League Two side Yeovil Town on a 30-day loan. Thomas, who came on as a substitute in the Johnstone’s Paint Trophy penalty-shootout defeat to Town last month, has joined The Glovers to gain first team experience. The Welshman started in the home game against Cambridge United this afternoon, just hours after the loan was confirmed but could not help his new side avoid a 3-1 defeat. Thomas has made six substitute appearances for The Sky Blues so far this season, and had a hand in the Richard Wood own goal away at Fleetwood two weeks ago. « Charles-Cook sets new post-war record.